What causes earthquakes? What do they feel like? What are tsunamis and why do they happen? An informative introduction to earthquakes and their effects for young readers. 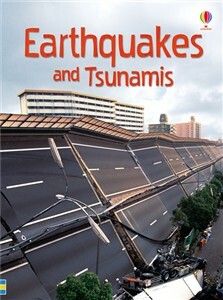 Features information on real-life earthquakes, accompanied by striking colour photographs and vivid illustrations. Developed with a reading expert from Roehampton University to help young readers grow in confidence.